This plant has a unique name, we called it ekor kucing or english translation means the Cat's tail. 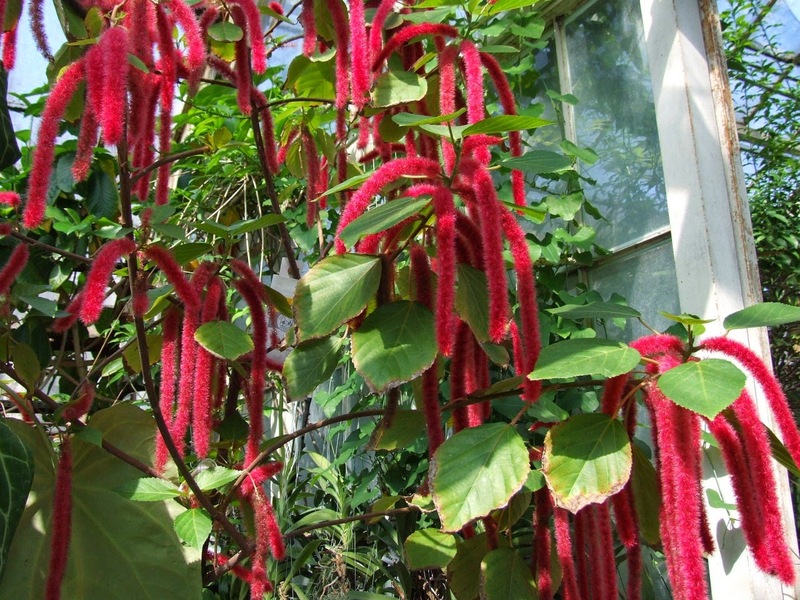 ekor kucing has latin name; Acalypha hispida Burm. F.
Plant part used: flowers and leaves strand. Method of cultivation: dg's plant propagation using stem cuttings. Maintenance is easy, it needs enough water to those ways of watering elbow, keeping moisture and fertilizeration especially basal fertilizer. Chemical properties: Rich, among others acalyphin chemical constituents, flavonoids, saponins, tannins. Cover the wound and urine laxative. Pharmacological Effects: In Chinese pharmacology, this plant is Sweetness, Cool, Chelate and stop the bleeding. 1. VOMITING BLOOD: Flowers in chewing with betel white raw, if necessary, add a little ginger, kencur ( Kaempferia galanga ), pule young leaves ( Rauwolfia serpentina Benth ). Do it all day. Or crushed flowers with as much sugar, eating. 2. Dysentery: flower strand 10-30 grams, boiled, drinking. 3. Inflammatory bowel disease: flower strand 10-30 grams, boiled, drinking. 4. Worms: flower strand 10-30 grams, boiled, drinking. 5. LEPROSY: Leaves taste in the wash, add kencur ( Kaempferia galanga ) to taste, finely ground up to be like mush. Used for greasing the injured body part.